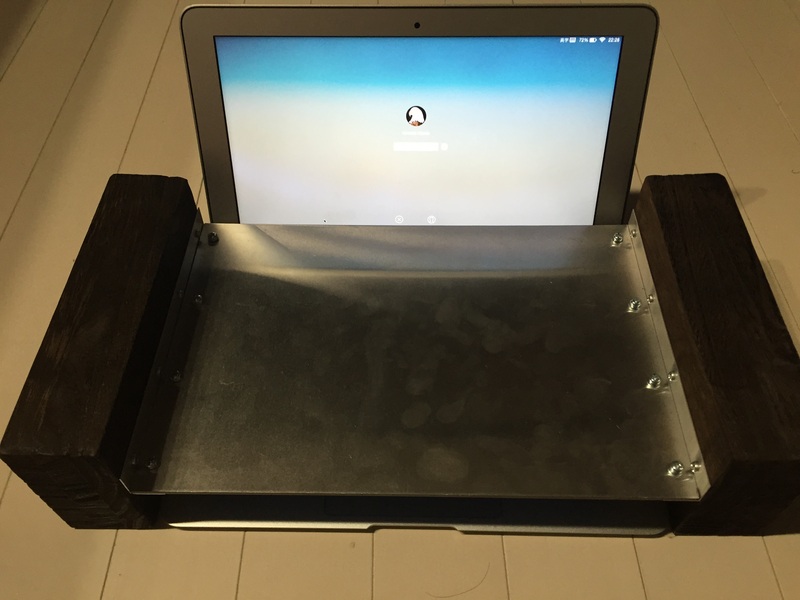 Solenoid Keyboard(Typing Machine) is funny item. I would describe how to make the this works. 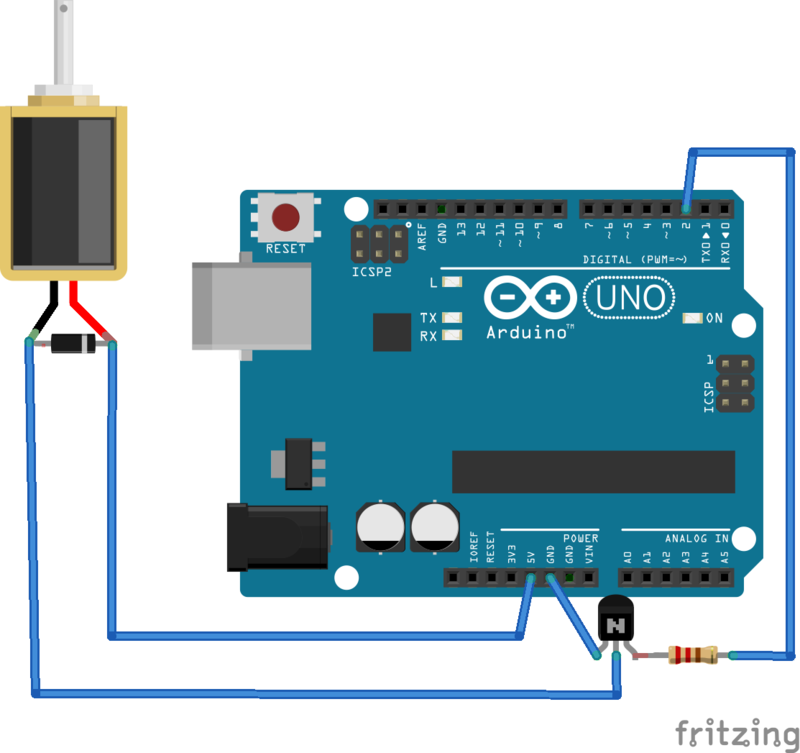 First of all, it have to control the solenoid from Arduino. Here is just 1 solenoid version fritzing circuit． (note)This push type solenoid have 8gf power on 5V from datasheets. Test the many solenoid with same circuit. 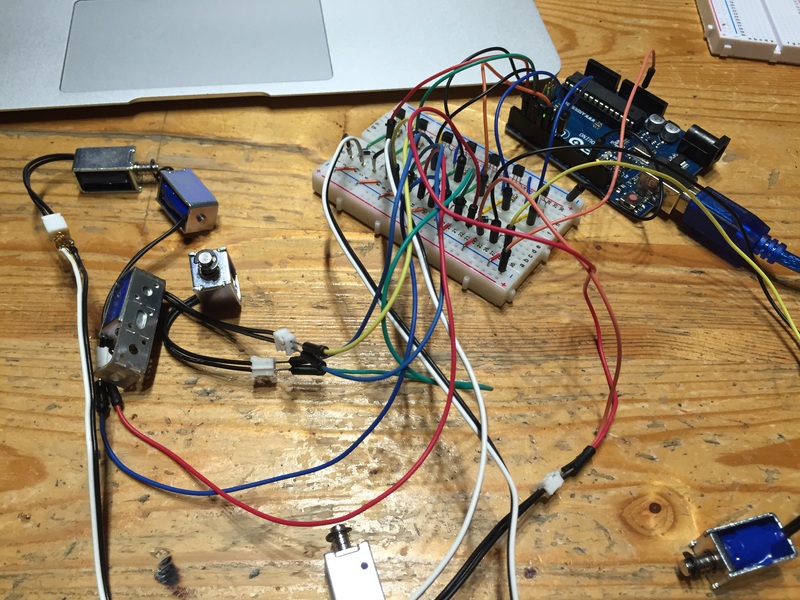 Modify Arduino sketch for many solenoid pin out control. Next, make the base board for up-setting on the keyboard and solenoid. 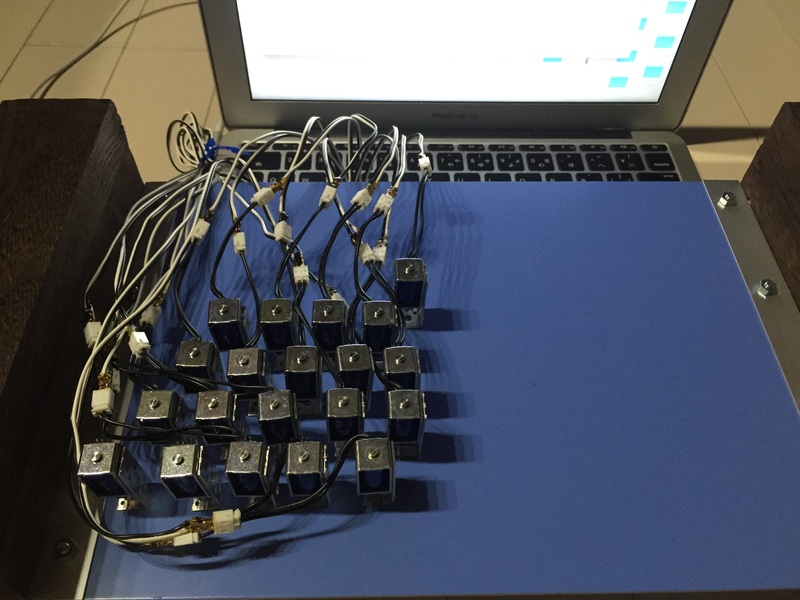 It have to be checked the Macbook Air keyboard size and solenoid pushing height before make the base-board. Then I used the 2-wood/alminium board/some screw. Set the solenoid on the base board. I use the 10x100mm Aluminum Frame for solenoid and base board connectivity, bend the Aluminum Frame 90 degree and cut(checking the solenoid length). When this work, it’s very important checking the keyboard/solenoid setting position and solenoid push length before the setting the solenoid on the base board. This solenoid push power is only 8gf with 5V. 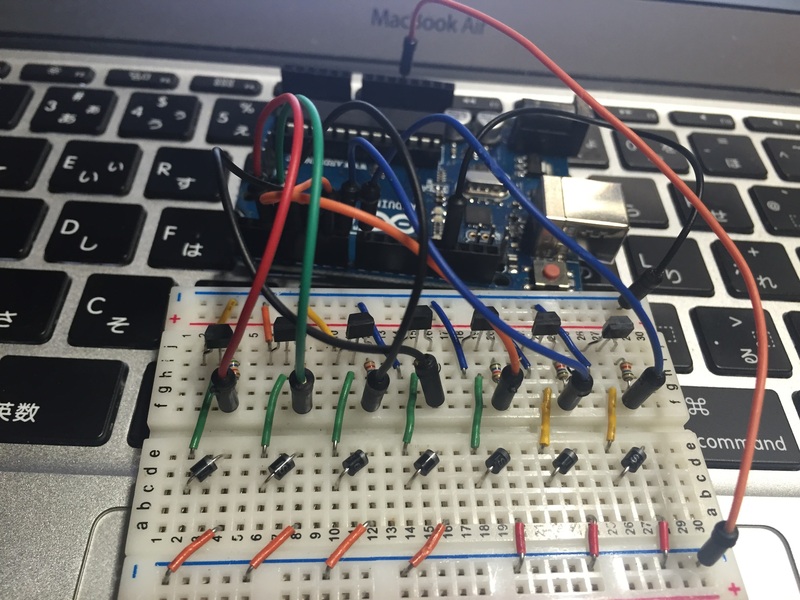 Therefore if top of the solenoid position is too near or far to the keyboard, solenoid could not type the keyboard. Solenoid position setting is point of the this typing machine. Arduino source code is here.